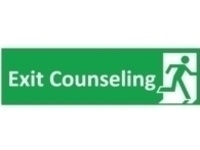 If you borrowed a federal loan while a student at Missouri S&T, you are required by the federal government to complete loan exit counseling after graduation. Join your M³ Peer Counselors to complete this necessary requirement. Please RSVP for one of the one hour sessions via OrgSync (https://orgsync.com/103043/chapter).